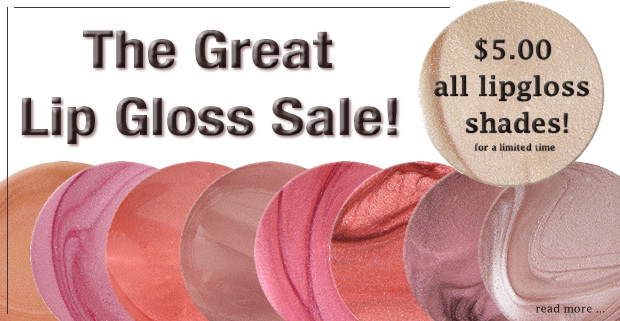 Today is the final day to take advantage of our $5.00 Lip Glosses! To celebrate the launch of four brand-new lip gloss shades all lip glosses are now only $5.00 each! Sale ends midnight Tuesday, March 29.